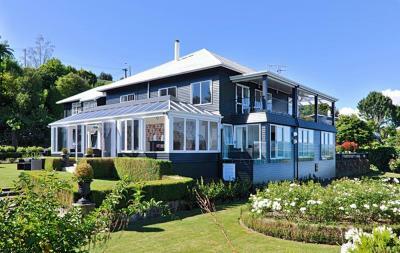 Lock in a great price for Black Swan Lakeside Boutique Hotel – rated 9.4 by recent guests! This was our second trip to The Black Swam. 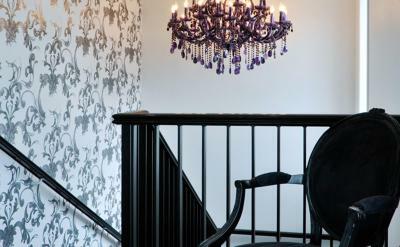 It is a charming, boutique hotel. The decor is original and luxurious. 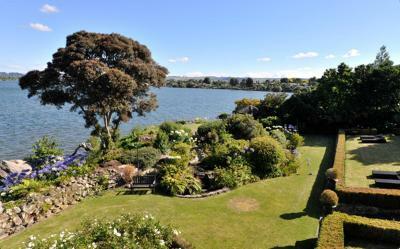 We had a lakefront room that had an amazing view of the lake and gardens. The room has a small sitting area; bedding and furniture was comfortable. It was nice to have a fireplace in the room on the cool evenings. The bathrooms had a gorgeous soaking tub, along with a large shower. Staff is attentive and accommodating who were willing to schedule activities and dinners. Breakfast was included and cooked to order and it was delicious and they had gluten-free offerings. 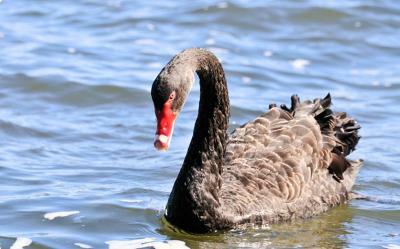 The Black Swan is conveniently located to everything in Rotorua. I highly recommend The Black Swan. 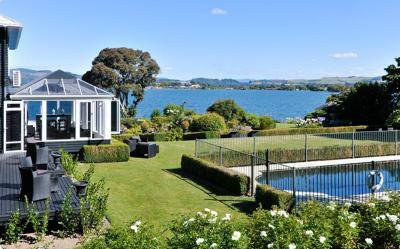 The hot tub grotto was wonderful and we very much enjoyed having a vodka tonic while looking out at the beautiful grounds and amazing Lake Taupo. Beds very comfortable, room was clean and the view absolutely fabulous. Service and staff in general were extremely helpful and very willing to assist, and offer local knowledge. Cooked reakfast options were delicious. 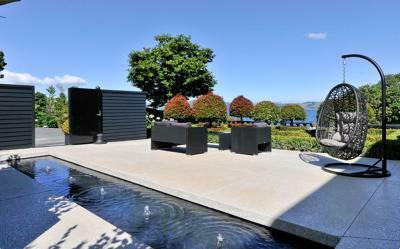 Service was exceptional and the view was very tranquil. Exceptional boutique hotel. I can’t speak more highly of this hotel. Staff was amazing and the view from our room was beautiful. Our only issue was us not giving ourselves more time to enjoy this hotel! 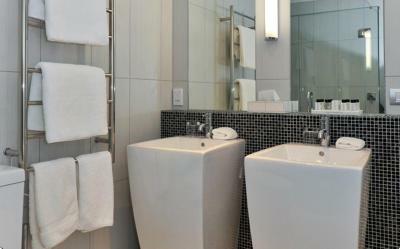 Wonderful welcome fabulously clean large room Excellent dinner very happy attentive staff. 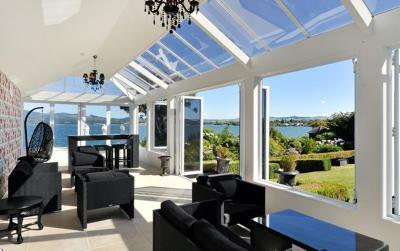 Fabulous views across the lake. Quirky but sophisticated decor. Friendly and efficient staff with a very warm welcome. Everything! One of the most beautiful locations I have stayed in. Excellent generous sized room with real attention to detail. Would highly recommend. 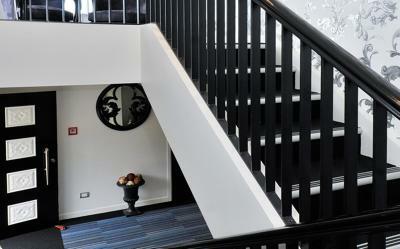 Great atmosphere in a small boutique lodge. Real sauna with nice swimming pool was a positive surpirse after a long travelling day. Excellent kitchen. 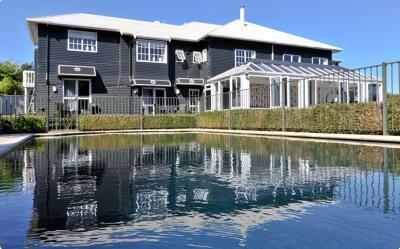 Black Swan Lakeside Boutique Hotel This rating is a reflection of how the property compares to the industry standard when it comes to price, facilities and services available. It's based on a self-evaluation by the property. Use this rating to help choose your stay! 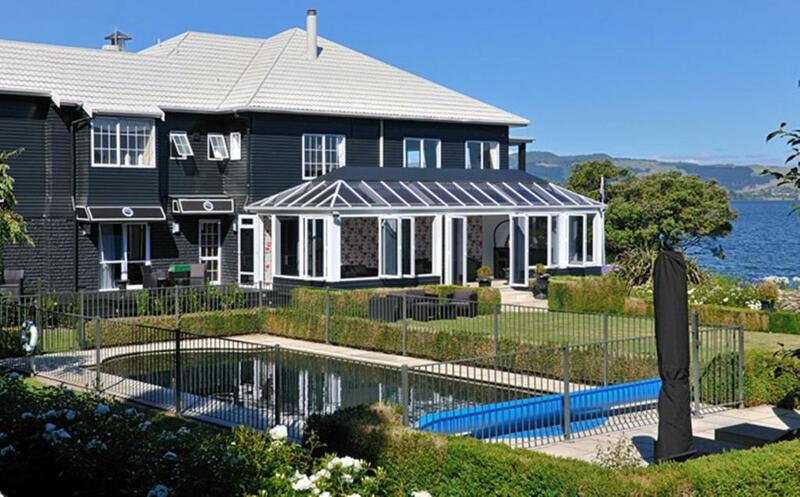 Perfectly positioned on the edge of Lake Rotorua, Black Swan Lakeside Boutique Hotel offers a solar-heated swimming pool, a sauna and free Wi-Fi. 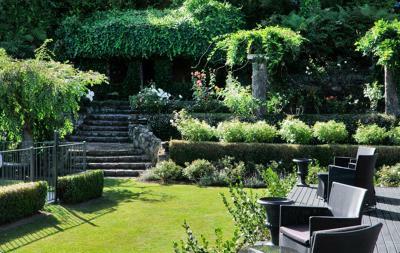 All rooms boast a fireplace, free a la carte breakfast and views of the lake, pool or rose garden. 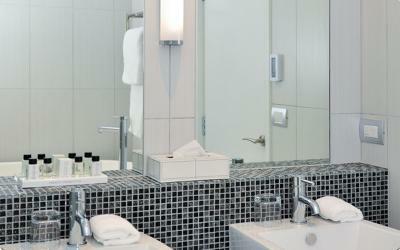 The luxurious rooms include an espresso coffee machine, an iPod dock, a flat-screen TV and a DVD player. 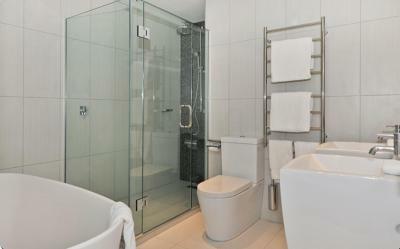 You can enjoy the monsoon rain shower and the luxury bath products provided. 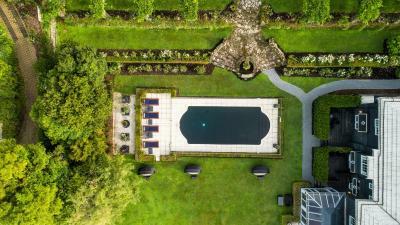 Set on 1 acre of manicured gardens, Lakeside Black Swan Boutique Hotel features a private jetty, helicopter pad and both a croquet lawn and a petanque court. The tour desk can arrange a helicopter trip to see the region’s famed volcanos and thermal parks. 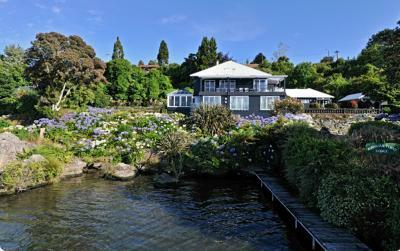 Overlooking the beautiful lake, the restaurant offers contemporary Pacific fusion cuisine. Your breakfast includes a full range of continental options as well as cooked options including full English breakfast, eggs benedict, freshly baked croissants and homemade pancakes. 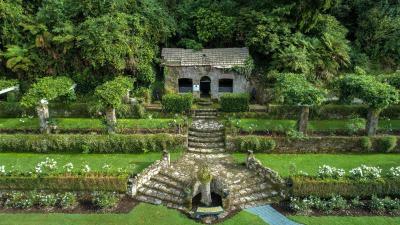 The hotel is just 5 minutes’ drive from central Roturua, and 10 minutes’ drive from the Rotorua Museum of Art and History. 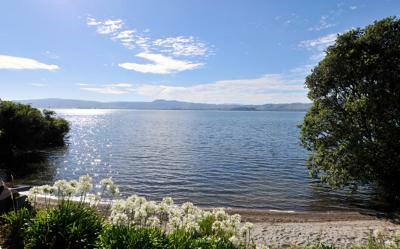 Rotorua International Airport is a 20-minute drive away. 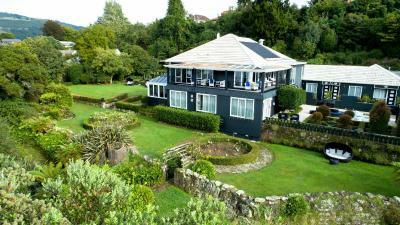 This property also has one of the top-rated locations in Rotorua! Guests are happier about it compared to other properties in the area. 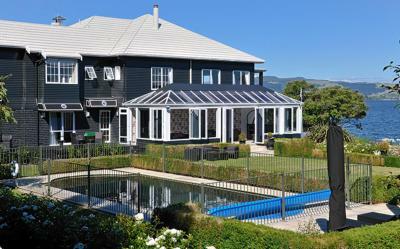 This property is also rated for the best value in Rotorua! Guests are getting more for their money when compared to other properties in this city. 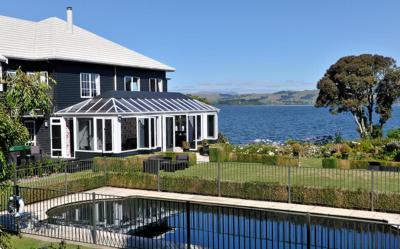 When would you like to stay at Black Swan Lakeside Boutique Hotel? This room has a private balcony facing the swimming pool. It also has a gas fireplace, an espresso coffee machine, an iPod dock, a flat-screen TV and a DVD player. This room features magnificent views of the lake. It also has a gas fireplace, an espresso coffee machine, an iPod dock, a flat-screen TV and a DVD player. This room features a private balcony with views of the lake. It also has an outdoor fireplace, an espresso coffee machine, an iPod dock, a flat-screen TV and a DVD player. 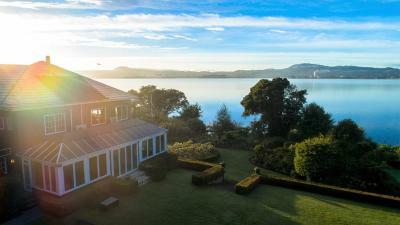 House Rules Black Swan Lakeside Boutique Hotel takes special requests – add in the next step! All children under 12 years are charged NZD 75 per person per night for extra beds. All children under 2 years are charged NZD 75 per person per night in a crib. All older children or adults are charged NZD 150 per person per night for extra beds. Black Swan Lakeside Boutique Hotel accepts these cards and reserves the right to temporarily hold an amount prior to arrival. 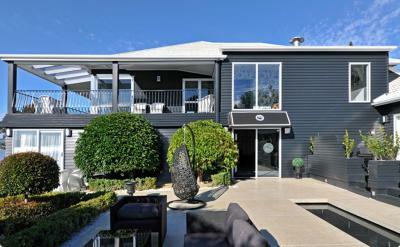 Please inform Black Swan Lakeside Boutique Hotel of your expected arrival time in advance. You can use the Special Requests box when booking, or contact the property directly using the contact details in your confirmation. Breakfast was beautiful and the location was so pretty! Restaurant good for but limited in choice. Wish we had a couple more days. Amazing place, really friendly staff, felt so homely, lovely views. Excellent, excellent breakfast! We absolutely loved our stay here as part of our honeymoon. Can't recommend it highly enough! Dining room was very over-heated. Reception area is very close to room doors and conversations in the reception area can be heard from inside the room. Would recommend requesting a room away from the reception area. Bathroom in our room was very small. That is okay but counter space was extremely limited. No internal lock or chain on our room's door. Other than that, everything was really good. Really nice room - modern, well decorated and clean (the pictures are a good reflection of what you get). The staff were very helpful and handed out lots of leaflets and advice on nearby tourist attractions. The breakfast was cooked fresh each morning and was delicious.